“BitchCoin” is a digital currency backed by the photography of artist Sarah Meyohas. BitchCoin allows buyers to invest directly in Meyohas’ career, rather than in any specific work. Developed in collaboration with Where, a gallery and think tank run by Lucy Hunter and R. Lyon, BitchCoin locates the artist as value-producer in a system fueled by prediction and speculation. Widely covered in popular press (Time, WIRED, Vice) as an empowering tool for artists, BitchCoin nevertheless walks a questionable line between critique and complicity in the commodification of art.Moderated by Jenny Jaskey and featuring Laurel Ptak, this panel is designed to put pressure on BitchCoin’s ambiguous position—not simply to judge the success of BitchCoin (both as an artwork and a financial product), but also to see how the project articulates the predictive mechanisms of an artist-gallery-press network that produces “up and coming” artists. Lucy Hunter and R. Lyon (Where): Where is a semi-public, high-security security shipping container and publishing project in Brooklyn, New York, produced by art historian Lucy Hunter and artist R. Lyon. 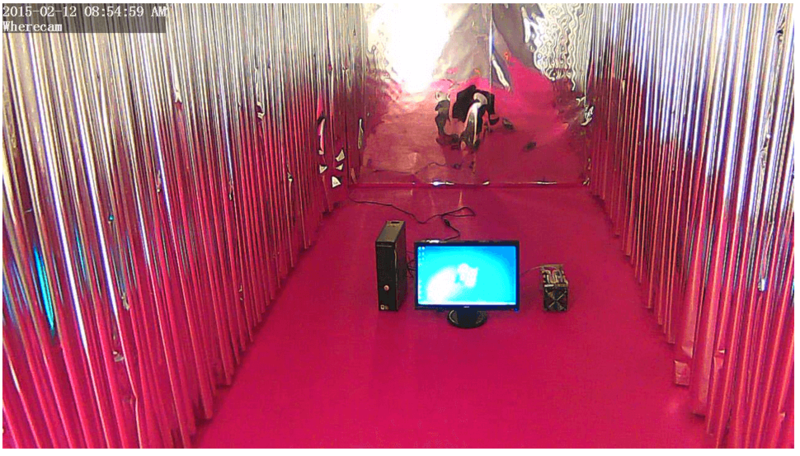 Where collaborates with artists, curators, and critics, using the exhibition format to test the mechanisms of growth and complexity identified in information theory. Jenny Jaskey: Jenny Jaskey is Director and Curator of The Artist’s Institute in New York, where she has worked with artists including Carolee Schneemann, Pierre Huyghe, Lucy McKenzie, and Haim Steinbach. Her writing appears in Mousse, Metropolis M, Modern Painters, and Texte zur Kunst, and she is co-editor with Suhail Malik and Christoph Cox of the forthcoming book Realism, Materialism, Art, co-published by CCS Bard and Sternberg Press. Sarah Meyohas: Sarah Meyohas studied finance and international relations, earning a B.S. in economics from Wharton and a B.A. in international studies at the University of Pennsylvania. She interned in both the private equity and hedge fund space. However, upon graduation, she headed straight to the MFA program at Yale in the photography department. Laurel Ptak: Laurel Ptak works across curatorial, artistic and pedagogical boundaries to address the social and political contours of art and technology. Together with artist Marysia Lewandowska, she is co-editor of the book Undoing Property? which explores artistic practices in relationship to immaterial production, political economy and the commons, published by Sternberg Press in 2013. Her past curatorial projects have taken up subject matter including alternative economies, debt, intellectual property and labor. She currently serves as Director and Curator of Triangle Arts Association in Brooklyn.